As the Halal travel market continues to grow, there is an urgent need for tourism and hospitality professionals to better understand the fundamental needs of Muslim travelers. At CR Academy, our online market readiness programmes give you the flexibility to learn at your own schedule. For organizations, you can leverage on the online platform to rapidly scale the competencies of your employees. Experienced professionals who already have the necessary fundamentals can also choose to take the certification exams immediately. The future of Halal travel education is here. We look forward to welcoming you to our growing pool of certified professionals. Learn more about the Muslim travel market, the basic needs of Muslim travellers, customs and traditions, and services required from the hotel and travel agencies in our comprehensive online learning program. Taken the market readiness learning program? Or think you have enough prior knowledge on the Halal travel market? Earn your market readiness certification by taking our online exam. Discover Halal Travel Market professionals who have successfully completed the certification program. When can I sign-up for the learning program? The CrescentRating Market Readiness online learning courses are available anytime throughout the year. What courses are offered in the CrescentRating Market Readiness Learning Program? CrescentRating Academy currently offers a specialized learning track program catered for Hotel professionals and Tour Agency professionals respectively (other service sectors coming soon). All courses are designed for the industry to have a better understanding of the potential Muslim travel market, their fundamental needs, customs and traditions as well as specific service considerations for each industry. Can I sign-up for all learning programs at once? As each learning program is catered for a specific service segment, participants who wish to learn all CrescentRating Market Readiness courses would have to take them separately. How much time do I need to complete the Market Readiness Learning Program? Each program consists of 19 courses grouped into 8 modules. The program takes about 2 - 4 hours to complete along with the quizzes and supplementary learning materials. Is there a deadline to complete the learning program? Upon signing up for the program, a 3-month (90-days) access period is granted. This is a sufficient period for you to complete the course on a schedule that works for you. When can I sign-up for the certification? The CrescentRating Market Readiness certification exams are available anytime throughout the year. You can choose to sign-up for the exam after taking the online learning program or immediately without registering for the online courses if you already have the necessary knowledge and experience of the Muslim travel market. Upon completion of the learning program, how do I get certified? 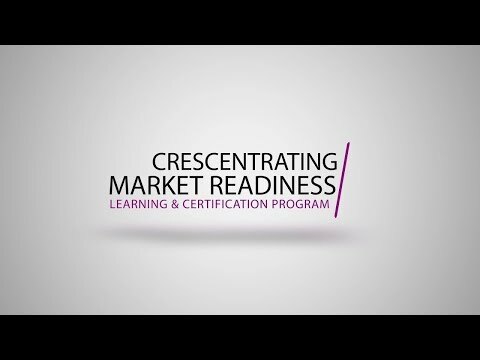 Once you have completed the learning program, you can now apply for a certification by taking our online exam: https://www.crescentrating.com/education/market-readiness.html The exam is based on the CrescentRating Market Readiness Learning courseware and consists of 60 questions within a 50 minute test period. To get certified, you would need to obtain a minimum 80% mark. Once you have successfully passed the online exam, you will receive an official electronic version of your certificate which you can download and print. How can I join the CrescentRating Certified Market Professionals directory? Upon successful completion of the exam, in addition to updating your resume and LinkedIn profile, you can also choose to promote your professional profile in the CrescentRating Certified Market Professionals directory. Our course coordinators will be in touch with you with further details. What happens if I fail the exam? Do I have to pay again? Participants will be able to attempt the assessment a maximum of three times within a period of one month. If unsuccessful, they will have to register again as new candidates in the next month's cycle. Will the certificate allow me to become a travel agent? The Crescentrating Marketing Readiness learning and certification programs are designed to enable professionals to have a better understanding of the Muslim travel market. For deeper customer service competencies, the CrescentRating Sector Immersion programs and workshops will further equip professionals with the service skills necessary. Professionals intending to become travel agents and offer tour packages should also check with their local authorities on the necessary regulations and licences required. If you have any questions related to our programmes or registration, we are here to help you.